With breathtaking ocean views and a private 2.5 acre park, Wailea Pualani offers some of the most luxurious homesites on the island. More than 90 homes span over 32 acres of premier South Maui real estate, all within a few minutes drive from the Shops at Wailea, fine dining and famed resorts such as Hotel Andaz and the Grand Wailea. Beaches including Makena Beach and Keawakapu are only a short drive away, where residents can enjoy calm waters and pristine white sand. Kihei town is within a 10 minute drive from the community, where schools, businesses and restaurants are located. 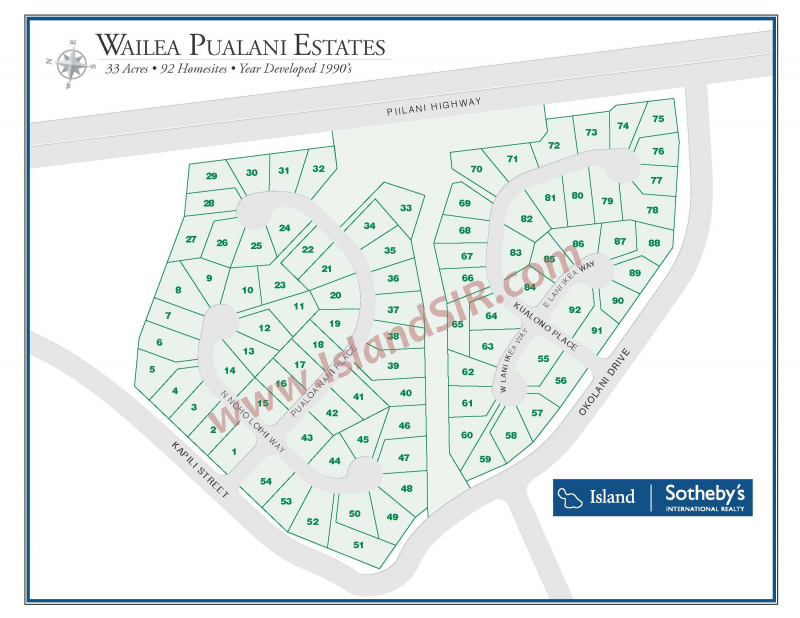 Thinking of purchasing or selling a Wailea Pualani home for sale? Contact us for a private consultation - our team encompasses some of the utmost experts in the Wailea real estate market who would be happy to answer any questions.